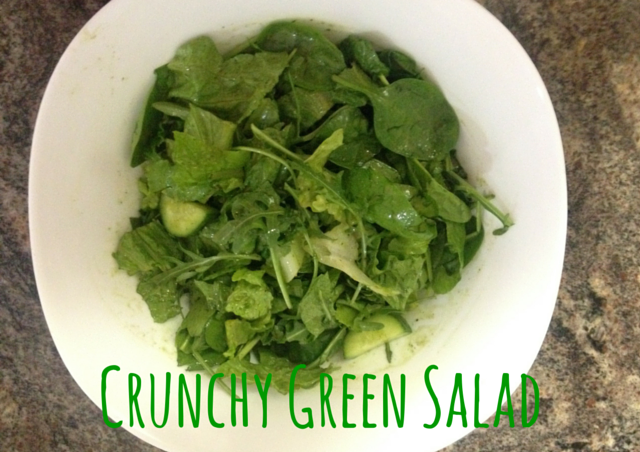 My obsession with green food and salads have grown over the last few months since I commenced my fitness challenge. I’ve discovered there are so many different kinds of healthy vegetables, herbs and fruits out there that you can combine in a lot of ways for health and fitness. These foods aren’t tasteless or boring either if you get a little creative. You can add wheat, quinoa, beans, or salmon, chicken and other meats to the salads to turn it into a proper meal. Personally, I prefer my salads without meat. 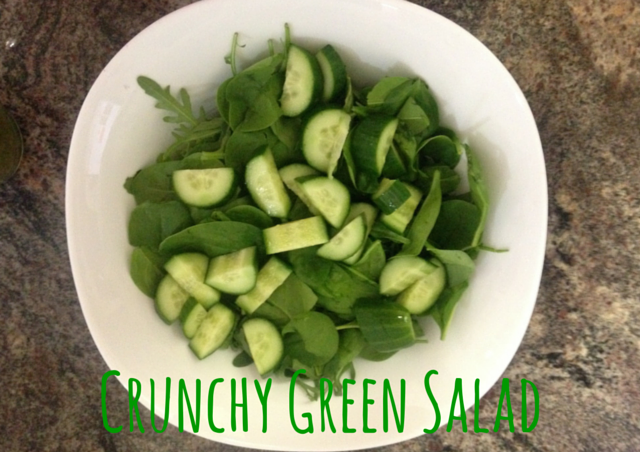 Baby Spinach – 1 packet. 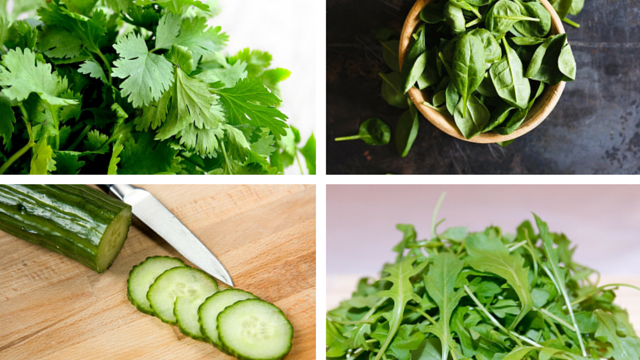 Cilantro – 1 bunch, finely chopped. I eyeballed the quantities. I’m usually cooking for only myself so I used very small quantities in order not to waste food. Don’t know what my deal with cilantro is but I add it to everything nowadays. For this dressing, I used a recipe from YouTube with a few modifications. I added fresh ginger, a dash of sesame oil and I blended the dressing with the peppers as I like spicy food. 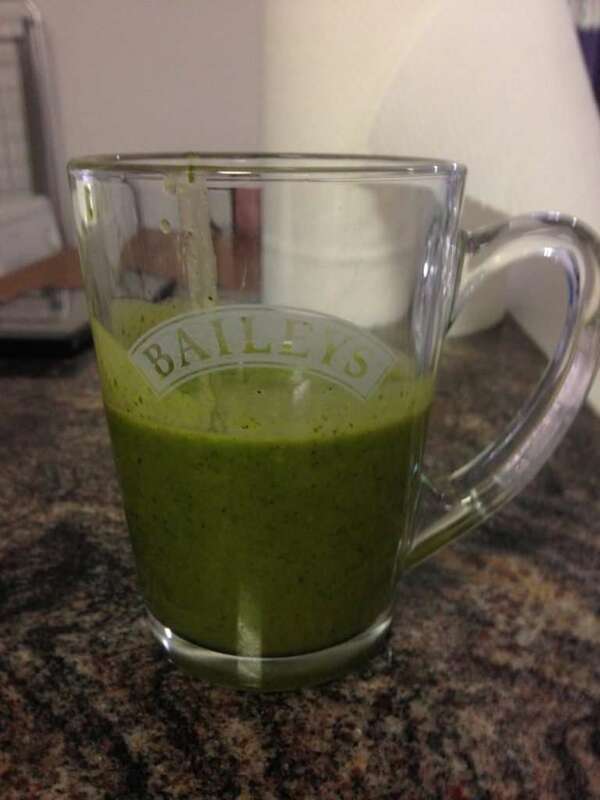 It turned out about ½ a cup of rich green dressing. I used some for the salad and used the rest to marinate salmon the next day. Below is a picture of the final salad before and after I’d tossed it with the dressing. It tasted so good. I also added some pine nuts into it on day 2 and sesame seeds on day 3 for a change in taste. Follow my fitness challenge results, updates and recipes HERE.